Surtsey is a volcanic island off the southern coast of Iceland. It was formed in a volcanic eruption which began 130 metres (426 ft) below sea level, and reached the surface on 14 November 1963. The eruption lasted until 5 June 1967, when the island reached its maximum size of 2.7 km (1.0 sq mi). Since then, wind and wave erosion have caused the island to steadily diminish in size. It has been suggested by Christadelphians that the creation of Surtsey is a "pattern for Creation" (of the world) and of the erroneous theory of the Young Age of the Earth. This is nonsense. The continents of the world consist of three different types of rock. 1. Sedimentary rock layers have been laid down over tens of millions of years. They are types of rock that are formed by the deposition of material at the Earth's surface and within bodies of water. Sedimentation is the collective name for processes that cause mineral and/or organic particles (detritus) to settle and accumulate or minerals to precipitate from a solution. The sedimentary rock cover of the continents of the Earth's crust is extensive, but the total contribution of sedimentary rocks is estimated to be only 8% of the total volume of the crust. Sedimentary rock cannot be directly accurately dated by radiometric dating methods. But by a process known as "bracketing", rocks that can be dated (igneous), in layers above and below sedimentary layers, give highly accurate dates to the sedimentary layers sandwiched between. 2. Igneous rock is formed through the cooling and solidification of magma or lava. Igneous rock may form with or without crystallization, either below the surface as intrusive (plutonic) rocks or on the surface as extrusive (volcanic) rocks. This magma can be derived from partial melts of pre-existing rocks in either the planet's mantle or crust. Igneous rocks can be accurately dated by radiometric dating. 3. Metamorphic rock arise from the transformation of existing rock types, in a process called metamorphism, which means "change in form". The original rock (protolith) is subjected to heat and pressure causing profound physical and/or chemical change. The protolith may be sedimentary rock, igneous rock or another older metamorphic rock. Metamorphic rocks make up a large part of the Earth's crust. They may be formed simply by being deep beneath the Earth's surface, subjected to high temperatures and the great pressure of the rock layers above it. They can form from tectonic processes such as continental collisions, which cause horizontal pressure, friction and distortion. 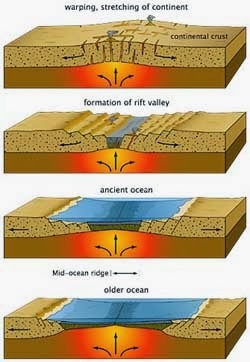 They are also formed when rock is heated up by the intrusion of hot molten rock called magma from the Earth's interior. Some examples of metamorphic rocks are slate, marble and quartzite. It is ridiculous to propose that Surtsey is a "pattern of creation" of the world, because there are no sedimentary or metamorphic rocks on the island. At the very least they would take many millions of years to form. The island consists of only igneous rock which has erupted from the ocean bed. Surtsey was formed on the Mid Atlantic Ridge. Almost 200 million years ago, the Americas, Africa, and Europe were part of one continent. As this continent started splitting apart into 3 separate tectonic plates, an ocean basin began to form. This basin, the Atlantic Ocean, is still forming today. As the plates move away from each other at a speed of approximately 2 centimetres per year, a rift develops. Around the rift, Earth's crust stretches and thins. As the crust thins, it releases pressure on the rock below the crust (which is called mantle). The drop in pressure causes the mantle rock, which is already extremely hot, to melt. Because melted rock is lighter than the denser rock around it, it rises. When it rises, the melted rock produces volcanic activity at the rift where the Atlantic Ocean is forming. The volcanic rock becomes new ocean crust. As new ocean crust accumulates and the ocean floor swells from heat below the crust, mountains form. 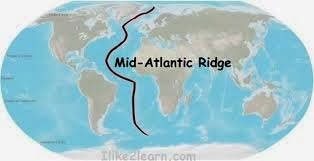 In the Atlantic Ocean, the great undersea mountain range this process formed is called the Mid-Atlantic Ridge. Surtsey was formed when a small part of this growing undersea mountain ridge reached above the waves. The formation of the island of Surtsey is another of the thousands of pieces of evidence that our Earth was formed by natural processes that began approximately 4.54 billion years ago. 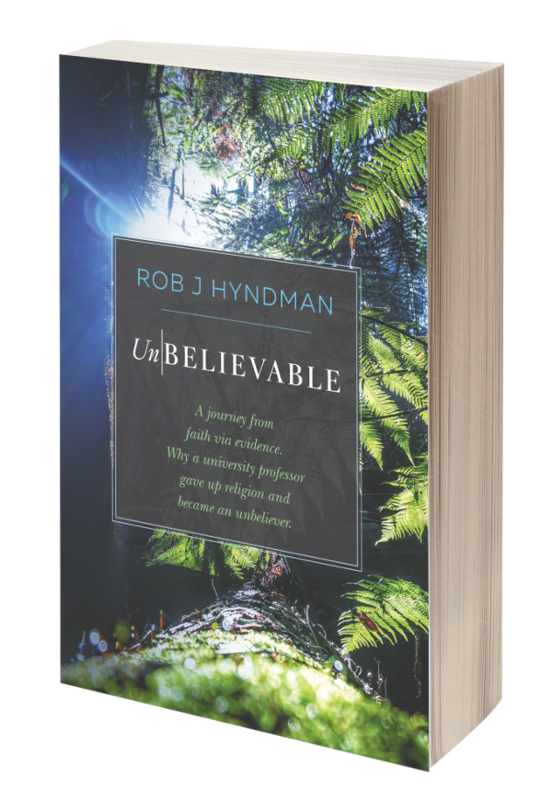 Science has decisively disproved and rejected the Biblical teaching that the Earth is only six thousand years old. Civilisation and agriculture began between seven to ten thousand years ago; long before the Bible claims that God created the Earth and humans. 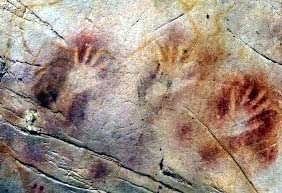 The picture on the right shows human (although possibly Neanderthal) handprints in the El Castillo cave in Spain that have been reliably dated to 40,800 years of age. Click here for more. Musical flutes and ivory carvings have been found in Europe from the same period. The indigenous people of Australia arrived here approximately fifty thousand years ago. The tower at Jericho was built in the pre-pottery Neolithic period, ten thousand years ago. The Biblical narrative of creation was written by primitive scribes in the Iron Age who thought that a solid firmament arched over a flat Earth and that the Sun circled the Earth. Christadelphians who attempt to use erroneous pseudo-science to support mistaken Iron Age mythological science are grasping at straws to avoid the simple truth that the Earth and our universe was NOT created by God six thousand years ago. The Bible is substantially mistaken and this demonstrates that it was NOT inspired by God.